→ Name, Age, Mobile Mandatory. → Consultation Fee Receipt Printing. 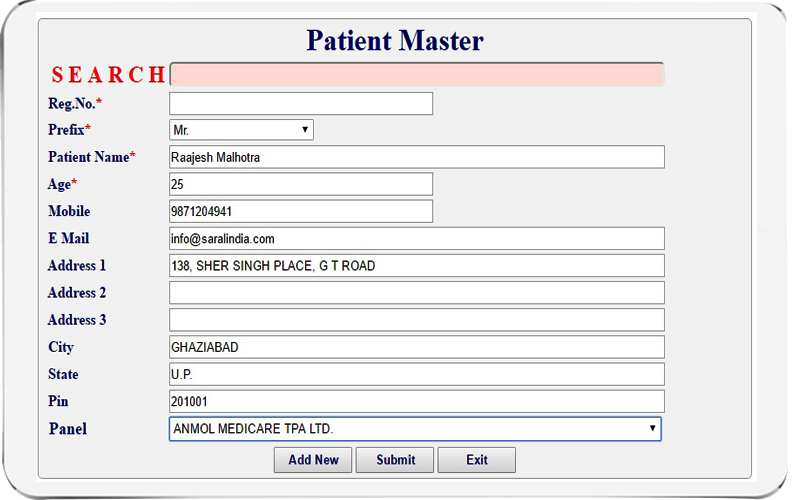 → Patients History with Consent Letter. → Patients Categorization Through Color Coding Scheme. → Searching of Patients Record from any known information. → Diagnosis, Work Required, Work Done. → OPD. Registration Number Wise. → Credit / Debi t Card. → Month Wise Collection Summary. → Doctor Wise / Month Wise Collection. → Service Head Wise / Month Wise Collection. → Investigation Wise Collection Summary. 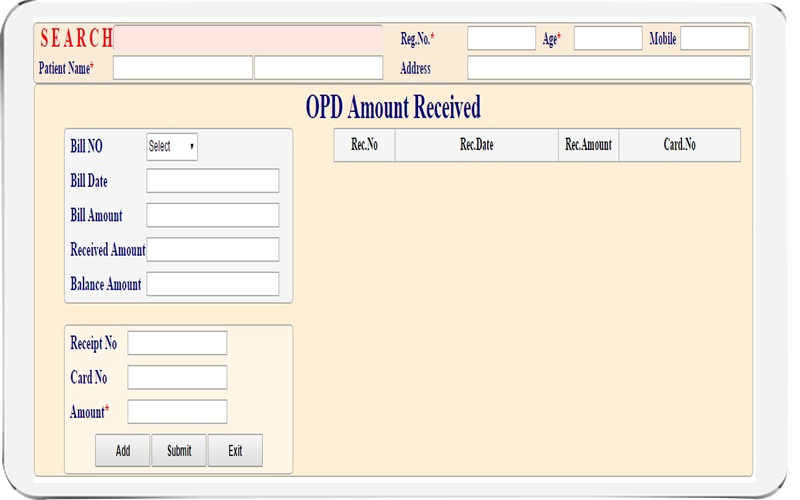 → Panel Wise OPD. 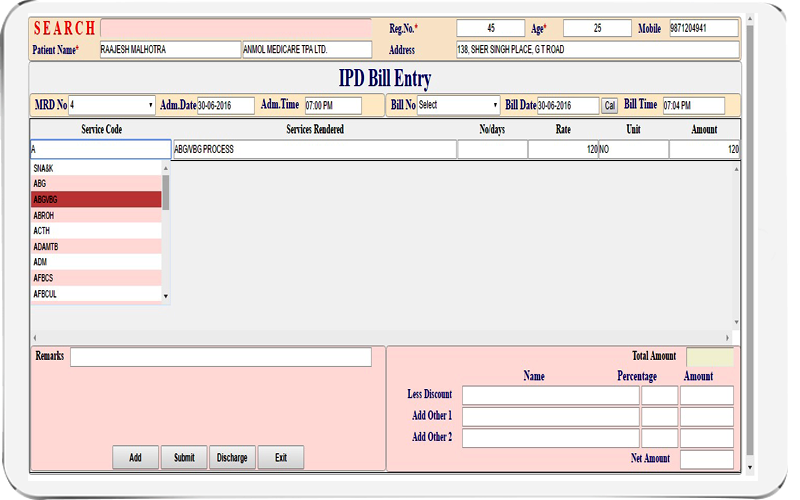 Billing Summary. → Ref. Doctor Wise / Month Wise Collection. → Area Wise Patient Summary. → Patient Type Wise Analysis. → Detailed Status for Work View. → Advance Amount Collection Wise. → Collection Summary – Cash / Cheque / Plastic Card. → Area Wise Patient Wise Analysis. → Ward Wise Collection Status. → Patient History / Summary – Cash / Panel. → Panel Wise / Month Wise Billing Summary. → Panel Wise / Month Wise Collection Summary. → Panel Wise / Month Wise Outstanding. 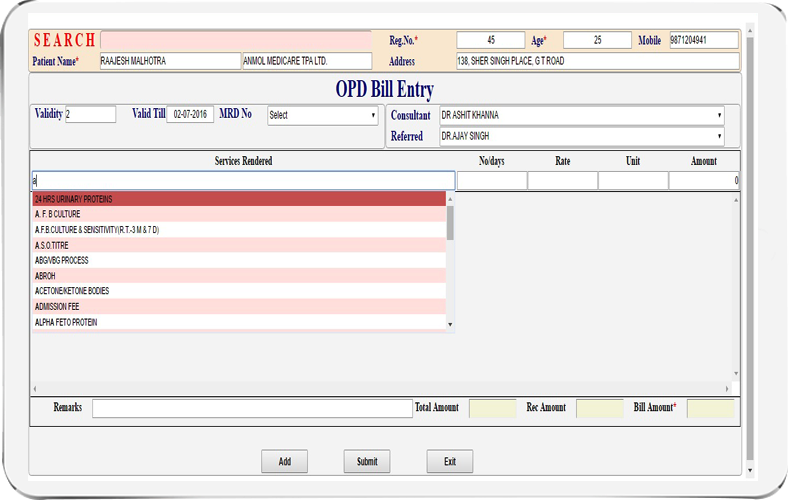 → All customized Reporting of pathology option is there using / linked with MS-WORD. → Test KITS Management Module. → Reports sending through Email to the Patients. → Totally Keyboard free operations. → Unique colorful coding for teeth in the Treatment Plan & Diagnosis module. 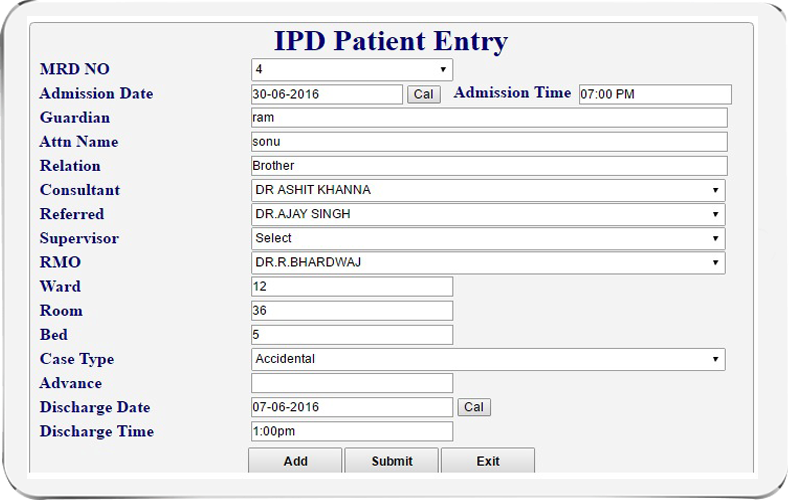 → Phone Dialing to patients from within the system. 4. 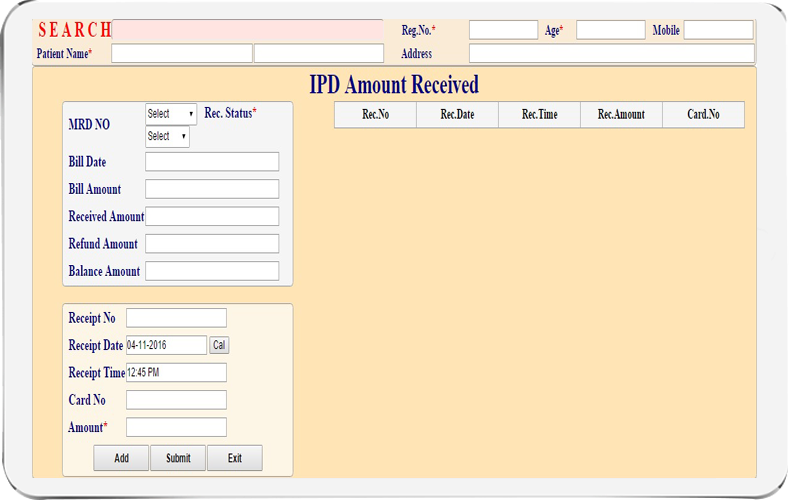 Payment to be made in favour of SARAL Softech through Cheque / D.D. 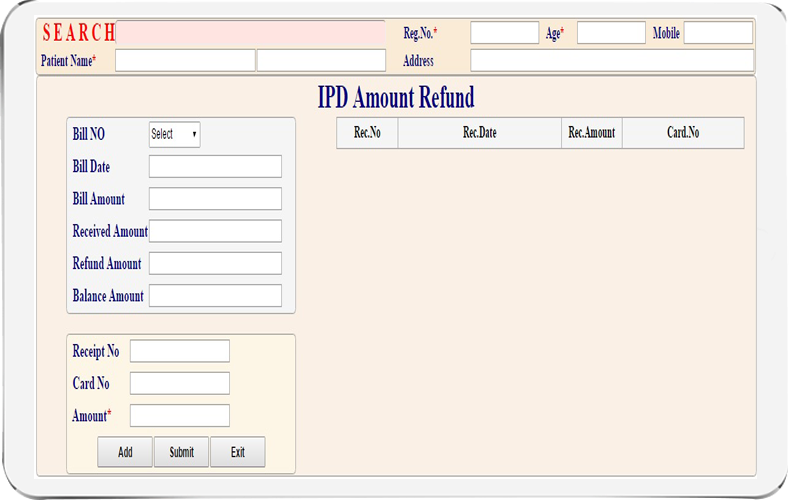 payable at Delhi.